Prehistoric Week: Doctor Who - Revisiting INVASION OF THE DINOSAURS | Warped Factor - Words in the Key of Geek. 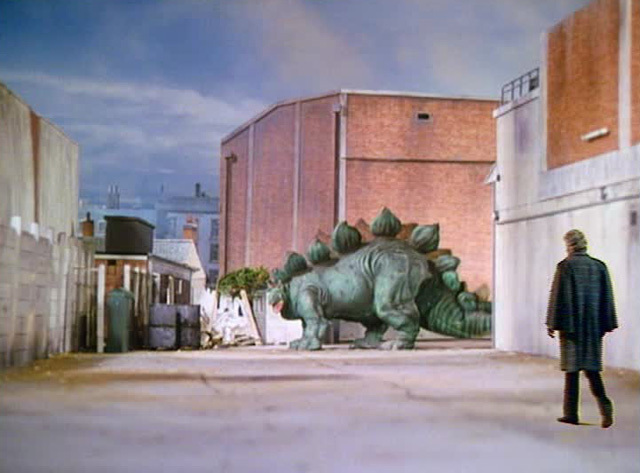 Invasion of the Dinosaurs holds a special place in my heart (both of them) as it was the first time I got to see Jon Pertwee and his magnificent Third Doctor in action, so maybe it’s a bit of bias that I should enjoy it so much as I do. Because after watching through all six episodes one lonely afternoon in my first year of university, when I really should’ve been preparing for a Statistical Mechanics* exam, I looked this story up to see what the general fan consensus was. I fully expected to see an overwhelmingly negative response due to one superficial problem: the special effects. I was not wrong. 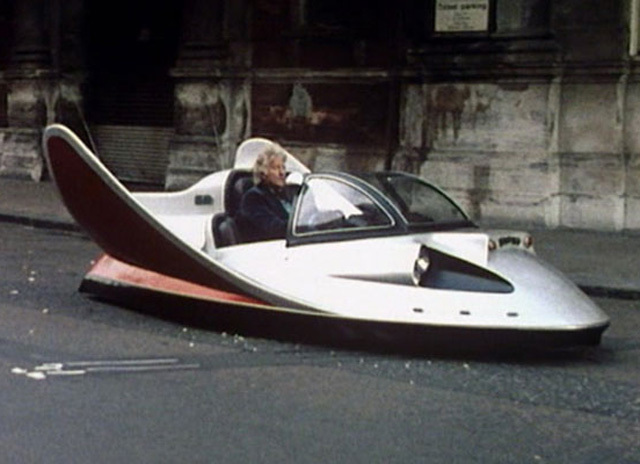 And it’s a shame because the story is everything the Pertwee Era does right condensed into just six episodes, and therefore not deserving of the negativity. So how bad are these effects then? Oh dear, oh dear, oh dear! There are bad effects and then there’s this! Go watch 5th Doctor serial Warriors of the Deep and look out for the Myrka, then check out 10th Doctor episode The Lazarus Experiment and observe the mutated form of the title character. But even these would be worthy winners of the best effects Oscar when compared to what we see here. Pathetic, just pathetic! What should be a huge dominating presence on screen is a complete flop. I can’t emphasise enough how poor this effect is and the only way to truly understand that is to watch a child playing with their toy dinosaurs and making them fight. Then film it and try to pass it off as the final moments of Jurassic World. On paper it’s no different, two dinosaurs fighting while our heroes watch, but in practice they couldn’t be further apart. Shifty man in pub: I hear you make that programme, you know, Doctor Who. Barry Letts: Yes I do. Shifty man in pub: I’ve got a special effect you can use in it if you’d like. Barry Letts: What’s that then? Shifty man in pub: Dinosaurs. Barry Letts: Wow! So you can move actual dinosaurs on screen and have them being scary and menacing and not at all look like an invisible child moving his toys around? Shifty man in pub: Err… sure, why not? Barry Letts: Wow! I don’t need to see this in action, you’ve got yourself a deal! Shifty man in pub: Really?! Err, I mean… thanks a lot! Barry Letts: Here’s the cash! I was going to give it to Jon but I’m sure he’ll cope without an increased salary and we won’t need to force him out. Well you get the idea. You can picture those who sold them the dinosaur effects driving off laughing about the whole thing. It’s a shame that the story should fall down so heavily on the very thing that gives it its name because there’s an awful lot to like about Invasion of the Dinosaurs. 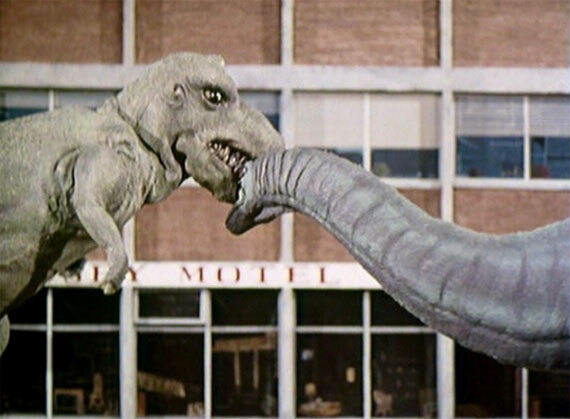 Malcolm Hulke wisely managed to see just how bad the effects were and forced the dinosaurs into being merely a B-Story to the plot letting the intrigue, the high adrenaline action and the politics that define the Pertwee Era take centre stage instead. As the Doctor investigates the dinosaurs he learns that they’re actually a product of scientific experiments performed by a top-secret organisation, known as Operation Golden Age, which goes right up to the top. Their goal: to replace humanity and start again, taking the species in a more ethical and eco-friendly direction. It initially seems funny that the villains are extreme left-wingers when such a prolific communist should write the script, but maybe not so much when he tells us that the Doctor agrees with what the villains are trying to achieve. Doctor: "Look, I understand your ideals. In many ways I sympathise with them. But this is not the way to go about it, you know. You've got no right to take away the existence of generations of people." Doctor: "Yes there is. Take the world that you've got and try and make something of it. It's not too late." 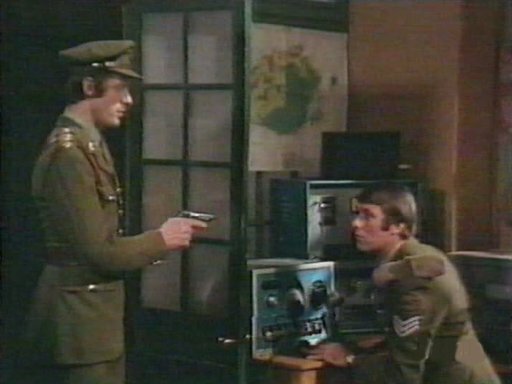 That leads me nicely into one of the things I like most about this story and that’s the way it presents UNIT’s Captain Mike Yates. He is revealed to be a traitor to UNIT working for Operation Golden Age himself and even frames the Doctor at the crucial moment so that he can’t stop them! 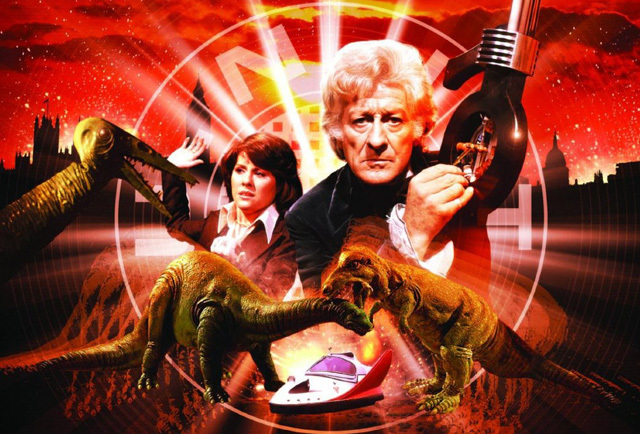 With dinosaurs roaming the streets and a top-secret project that threatens to destroy humanity as we know it, the Doctor’s got his work cut out for him and who better to have at his side than UNIT and Sarah Jane Smith? This is only her second appearance following her debut in The Time Warrior (read my review of that story here) but you wouldn’t know it! The wonderful Elisabeth Sladen is just so comfortable with the character and her chemistry with Jon Pertwee is a thing of beauty. The dynamic between Sarah and the 3rd Doctor was too short-lived and it’s a shame we didn’t get more than one season with them together. But not even Sarah can help the Doctor this time! She spends a good deal of the story trapped away on a spaceship headed for New Earth (hopefully not the same as in one of David Tennant’s worst episodes, Sarah deserves better than that). Obviously it’s fake and she knows it, which creates a fascinating side-plot to the story as she tries to escape. Hulke gives her plenty of chances to shine in a way Robert Holmes never did last time. All too few of the Doctor’s companions in the classic series got this treatment, most were forced to stand there and ask questions, but then occasionally we get someone like Sarah who occasionally gets to prove her worth alone. It’s easy to take for granted nowadays but back then this was all too rare. We can’t all be Clara! Invasion of the Dinosaurs then is a strong story. It’s such a shame that the effect that gives it its title should be so laughably awful because everything but the effects works really well; the pacing, the dialogue, the storytelling, the acting, everything, it’s all thoroughly entertaining and makes for six episodes that hold up really well, if not for that one thing. It annoys me that people think “bad effects = bad story” because that simply is not true. Give it another watch today and you’ll find it to be exactly what you’d expect from a top quality Third Doctor adventure. All we need now is a decent re-release with the effects sorted out. We know decent effects are possible when it comes to dinosaurs in Doctor Who having seen them twice in the revived era (Dinosaurs on a Spaceship and Deep Breath) so we know it can be done. Until that happens we can still enjoy it as is, after all why let a bad effect get in the way of a good story? *Don’t look it up if you don’t know what that is, you’ll regret it if you do!